Return to the 17th century! 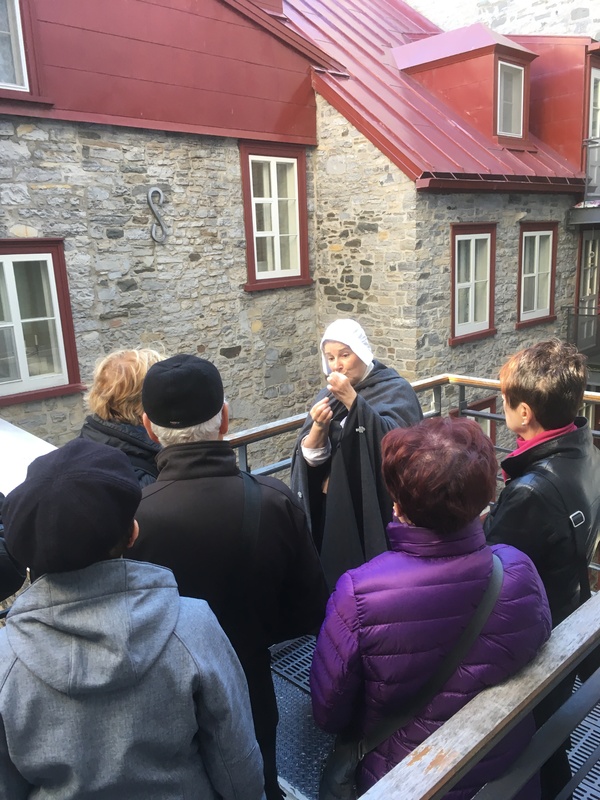 An authentic Fille du Roy (King's Daughter) or the husband of one of them will show you Québec City as they saw it when they arrived between 1663 and 1673. Learn more about their crossing of the Atlantic ocean, their home, their link with the Ursulines Sisters et much more... You will understand the critical role these women played in the survival of New France. 130$ / for 2 adults,(taxes included) and 25$ for each additional person.